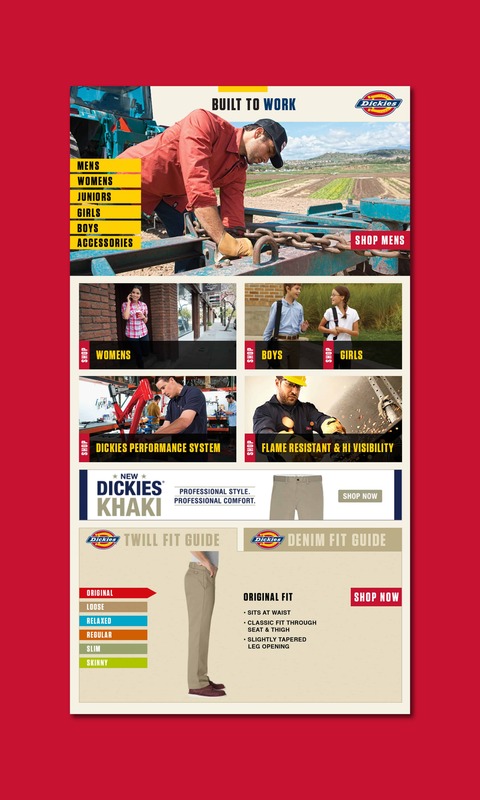 Dickies, the largest brand under Williamson-Dickie Mfg. 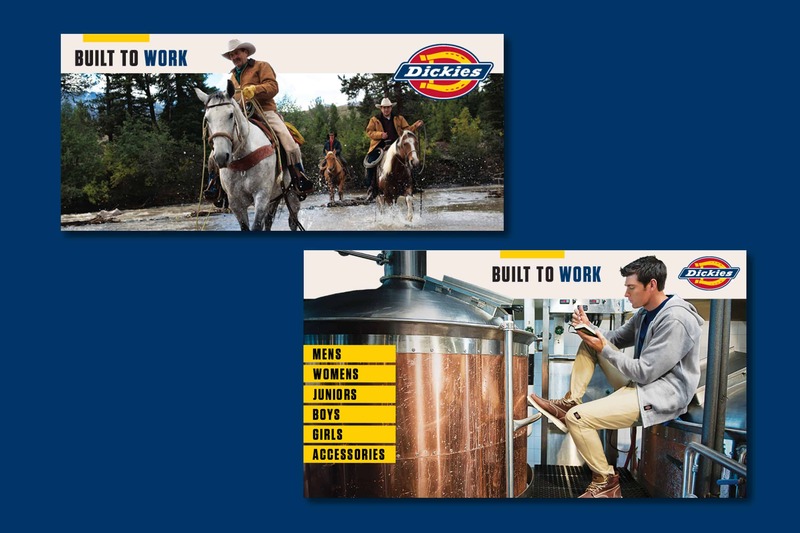 Co., first approached us with the need to promote their BUILT TO WORK clothing line upon its launch. 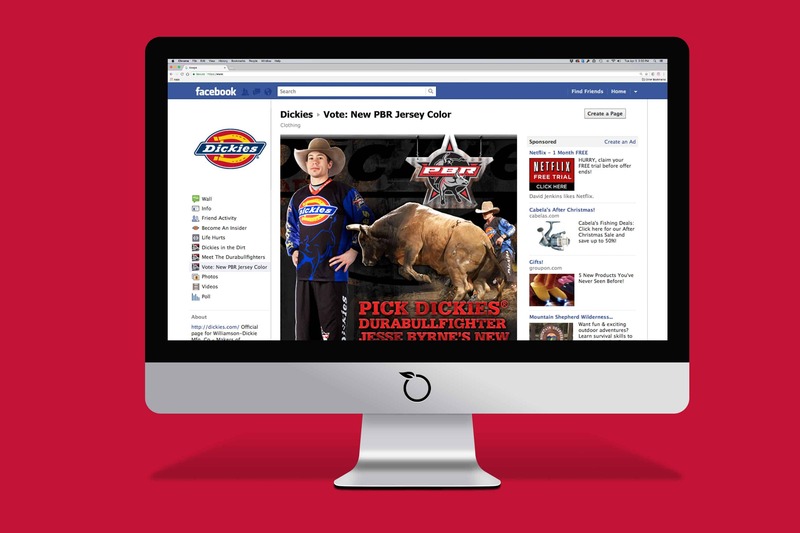 This task called for us to work within their established style parameters and provide an effective brand experience. 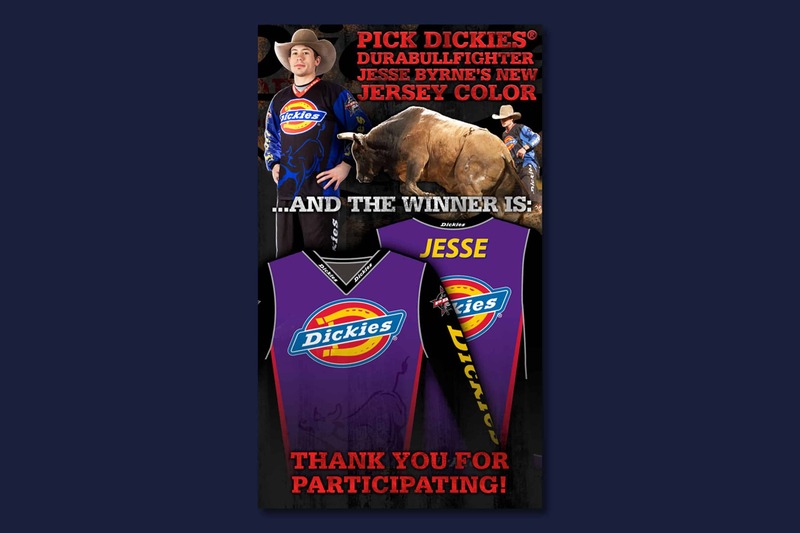 Elements included a fully functional e-commerce microsite, banner ads to place on the websites of vendors who sell Dickies apparel and Facebook-native contests that garnered an increase in social clout and excitement. 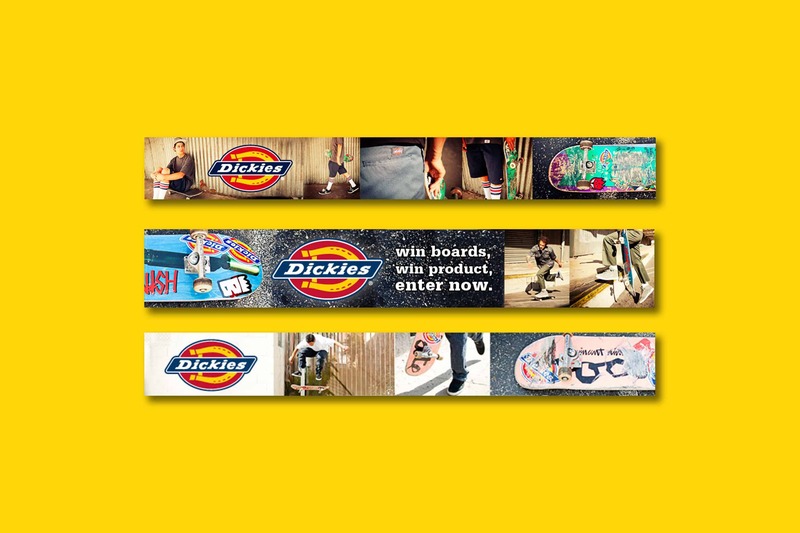 We had a blast working with Dickies, thanks to the hands-on approach they allowed us to take with their projects and degree of trust they had in our team.